In this week’s episode of The Amazing Race, the teams stayed in Guangzhou, China the whole time. There were actually several tracks located close to where the show was filmed, but I could not find any names or labels of these facilities to get more information. So while I was searching, I was amazed at how many tracks there actually are in this city. Then I came across the Guangzhou Higher Education Mega Center, and realized I had just hit the jackpot. This Mega Center is basically a separate, sub-city, built on an island, and is made up of ten different universities. It opened in 2004, and is capable of accommodating 120,000 students, and 400,000 residents. In the center of it all, lies Guangzhou University City Stadium. 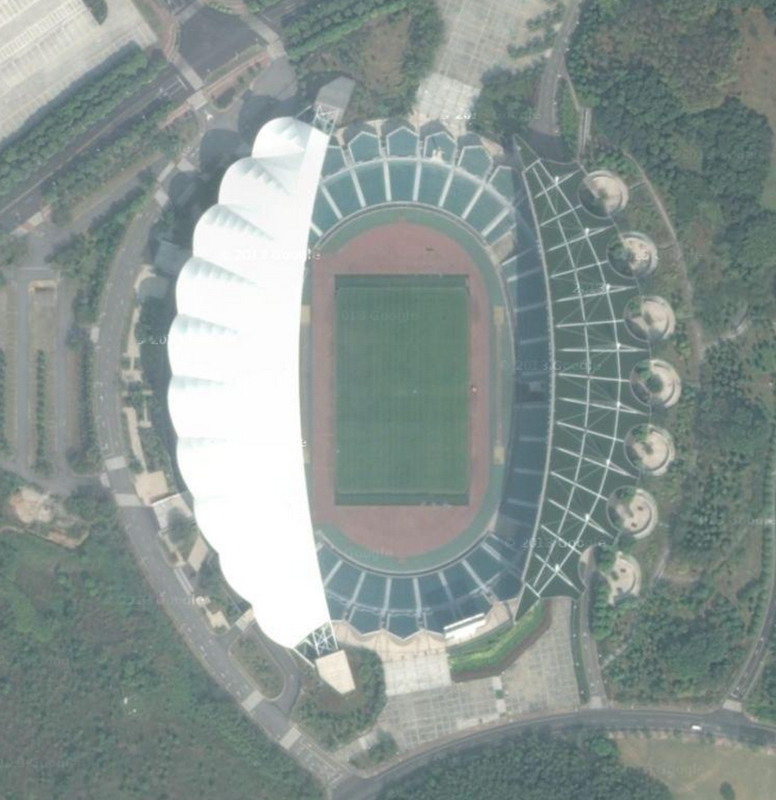 This venue has a seating capacity of 39, 346 people and was the main stadium for the 2010 Asian Games. There is a warm-up track located right outside the stadium. Then I noticed another track not far away. Then another. Then another. And then even more! All together, there are 19 more tracks, besides the on at the big stadium! In the photo below, I have noted these tracks. 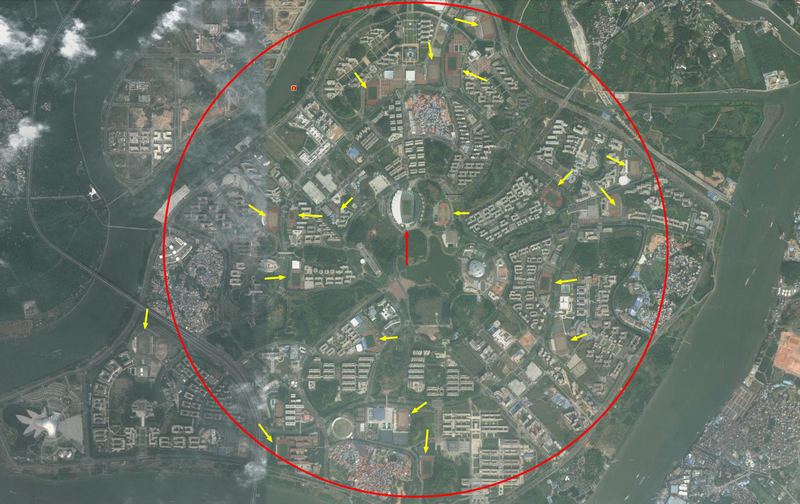 The circle has a diameter of approximately 2.5 miles, or 4km. This most likely is the highest density of tracks in the world. Pretty amazing!